You must make reservations at least 5 minutes in advance of the time at Maguire's - North Dallas. Our private dining space will accommodate up to 56 for a seated dinner or up to 75 for a reception style event. Maguire's can cater groups of 10 up to 800. We offer drop-off delivery or full service catering. Please see our website for more information. Private area for up to 56 guests. Restaurant buyouts available for up to 250. Maguire's is a neighborhood restaurant for the casual gourmet. Our Chef's have created a menu that will appeal to the adventurous palates without intimidating the more traditional. With Private dining rooms, al fresco dining, artisan cocktails, comfy lounge seating and an extensive, reasonably priced wine list, Maguire's offers something for everyone and every occasion. Maguire's also offers full-service catering for any size event or budget! 5:00 PM - 10:00 PM.Location: 17552 Dallas Parkway, dallas, Texas, TX - 75287. Recurring Event: Occurs Every week on Thursday. From 5:00 to close all bottles of wine under $100 are 1/2 price and bottles over $100 are 35% off. 5:00 PM - 9:00 PM. Location: 17552 Dallas Parkway, dallas, Texas, TX - 75287. Recurring Event: Occurs Every week on Sunday. From 5:00 to close all bottles of wine under $100 are 1/2 price. Bottles over $100 are 35% off. Always the best place to go to for any occasion, big or small. Never had a bad meal or bad service. This is my go to for any occasion. Love Maguire’s! We had a reservation for six people. We all arrived at the same time, and were seated almost as soon as we entered the restaurant. We were greeted by our waitress, who took our drink orders. We needed a while to look over the menu, as 4 of the 6 people had never been there before. The waitress took our orders, and the food arrived promptly, considering how busy the restaurant was. We also shared several delicious deserts. Overall, everyone enjoyed their meal very much. Will certainly return. Consistent good quality food and service. Nice variety of menu selections. We have been to this restaurant many times over the 25 years that I have lived in Dallas. Unfortunately, during this visit, we experienced a noticeable decrease in both the quality and quantity of the food along with a marked increase in prices. Not sure if we will be going back. Absolutely Outstanding! This is Dad's favorite place and he just loves the Ginger Salmon! I had the Crabmeat, Spinach and Gouda quiche and my brother had the Southwest Burrito--ALL were excellent! We have never been disappointed! Treat yourself! Three of our party had fish which we felt was a bit overcooked. The steak was excellent and cooked just the way it was ordered. One of our favorite restaurants for a special occasion or just a night out. Food and service are always exceptional. We dined early not thinking a certain booth (The one we sat in) would be right where the sun would be blinding. Our waiter apologized leading us to believe they are aware of the issue with this booth. This 10 minutes of blinding light is more memorable than the great food and service. WHY would you seat someone where you know it will be annoying for a few minutes when there are many other options available for those of us that dine early. Great menu selection. Food presentation and taste very good. Took two couples for Sunday brunch. They hadn't been there before. Everything was excellent, great service and food—not to mention the bloody mary bar, which we made several trips to during our brunch. And the live duo was just right for a music background, too. Maguire's continues to be a standard among restaurants. The menu hasn't changed much over the many years they have been in business but what they do, they do very well. We had the artichoke appetizer and it was outstanding. 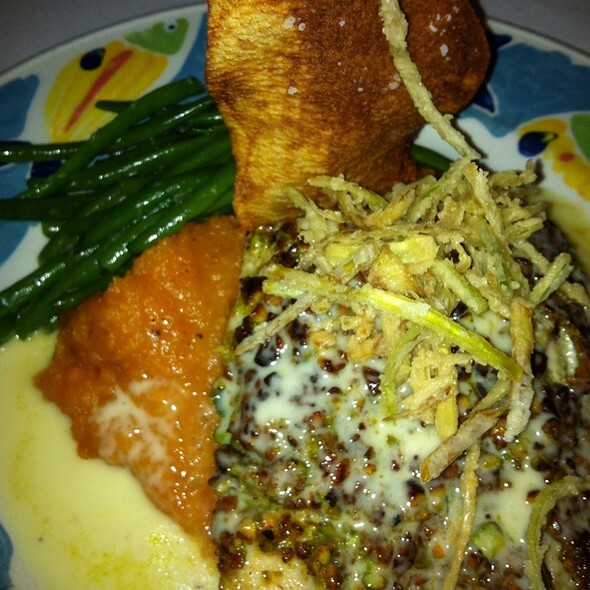 My wife had the rockfish special and I had the redfish (which I have had several times before). Again, everything was well done but if you are looking for culinary excitement and innovation this is not the place. I don't mean that to be a negative remark, this is a restaurant for standard, well-prepared comfort food. We will go there again as we have over the last many years. The food was delicious! The server, Suzy, was amazing. Everything about the experience was perfect! Food was fresh and very delicious! All staff is super friendly! The BRUNCH at Maguire’s is out of this world. B G was outstanding as our waiter/ bartender. The music is the best. Manny and his vocalist makes a stop at Maquires a very special dining experience. Thanks to all. The food seemed to not be as good as I had in the past. Not sure what it was but the salmon was just ok and the port chop was not overcooked but not as flavorful as I expected. All in all good. The food was on point and very fresh. We also enjoyed a red wine from Nappa Valley that was on special. Great service and attention to detail!! We haven't been in a long time. For a Friday night it was pretty empty. The wood smoke is over powering (had to change clothes when I got home, due to the wood smoke smell). Food was OK, mediocre, but our server was very good. There was a loud mouthed women at a table across the room whose voice could shatter glass. She was hitting on some poor old guy who couldn't wait to leave. Sorry to say, the place has passed its prime. Using opetable to make reservations is always an easy and pleasant experience, I am glad Macguires use the app. However, the menu at Macguires is all over the place. It feels like they are in the middle of an identity crisis. “Mamas”this and “homestyle” that but then have a steak section with 3 cuts of meat all around $45...and that’s it.! I remember when Macguires had a menu that was truly upscale and innovative (“chicken or lamb lollipops”) But now it just seems mediocre. I like the addition of live music on Fridays but you can’t cover up the issues you have with your food with live music, especially if you are a restaurant. In my humble opinion, Maguire’s is one of the best locations in North Dallas for business lunches. The food is normally great, the atmosphere is conducive to business, and the service is quick and friendly but not obtrusive. 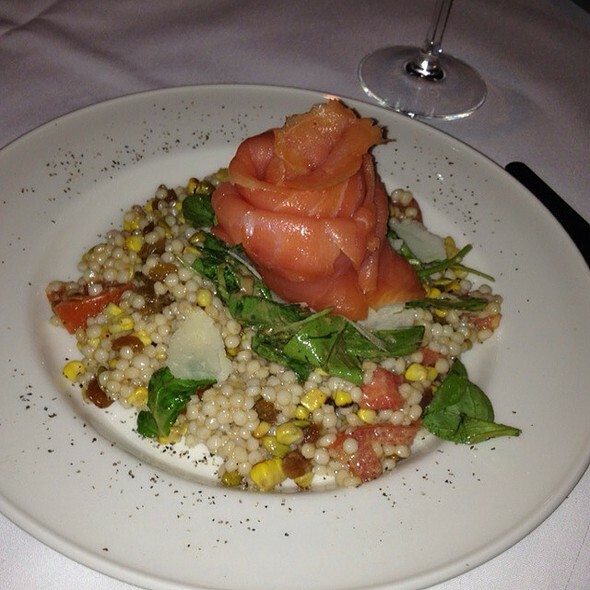 The in-house smoked salmon appetizer is fantastic and the daily specials are always tasty. Maguire’s has consistently good food and service. We’ve enjoyed many family celebrations here and look forward to many more! The best corned Beef and Cabbage that I have ever had in any restaurant. Food and service were excellent. Atmosphere was nice - very appropriate for a romantic dinner. We had a wonderful server!! Will return soon!! All four of us has fish entrees and every one of them was very good. The Halibut special was to be blackened but I had it grill and it was perfection. Dinner salads were a little small and the calamari was pretty boring but otherwise very good dinner. $62.50/man all in. The family style table was perfect and the service and food were outstanding. First - Miranda was our server...WONDERFUL! She was knowledgeable of all dishes and she brought the food to life. Then - the food comes....yum. My wife had the Special of night - Filet Mignon with Crab Cake (my wife could have eaten many more). I had the meatloaf. It was good but next time I will be ordering seafood. Bang for the buck....great atmosphere, perfect for conversation and walk out not feeling like you got robbed. If there is any room for improvement - it is the cocktails. I'm sure they can make standard but the signature just a little too niche. Would go back and will go back and hoping Miranda is there. 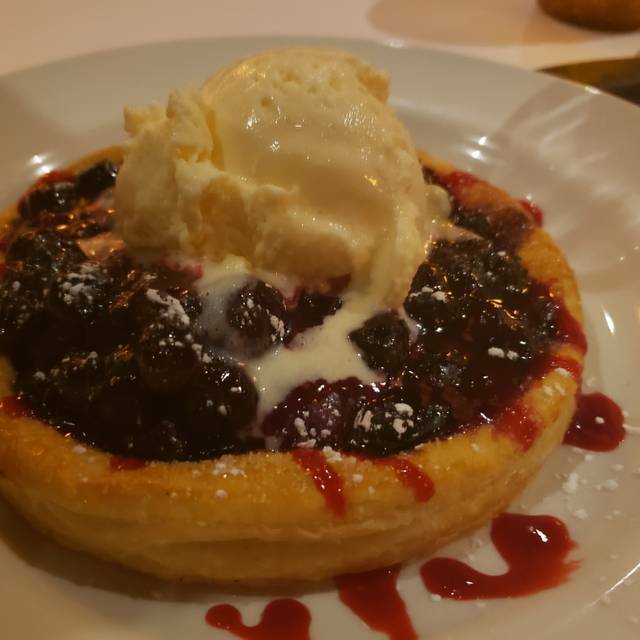 We always enjoy Maguires, especially for special occasions. A great evening. Come back to Maguires! Great place as always. A omelette for lunch will never get old! The food and service is always great. This is a great high quality food without the high prices.